Home Blog Dubai Lists Middle East Nine must do activities in Dubai. 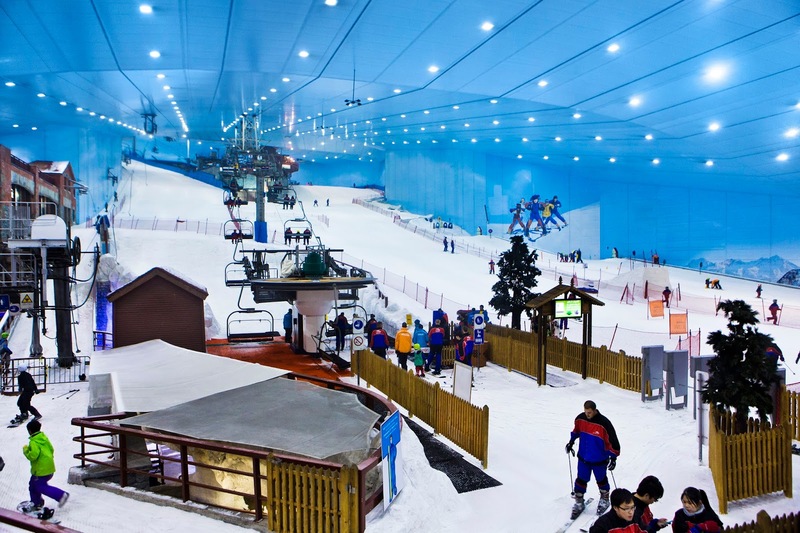 Nine must do activities in Dubai. I love taking international power trip weekend getaways, they force you to cram in as much activity and sightseeing as possible. Sure, lounging around relaxing and “taking in” a city over the course of a few days is enjoyable, but... I prefer to get up and go. Which is why I jumped at the invite from my husband to join him in Dubai for 4 days on business. What I love about Dubai is everything is over the top - the largest, the most expensive, the grandest, the tallest, the biggest, you name it - in the world. Nowhere else will you see police driving Lamborghini’s. Coming from the east coast, I am rarely shocked at pricing, but I was surprised at the cost of food and drinks, its easy to forget that everything is imported and that comes at a price. Its a very cosmopolitan, safe and clean city. There is so much to see, do and experience in Dubai that yes, it can be done in a weekend! Here are my recommendations for what activities to do on a long weekend in Dubai. I am leaving out restaurants as there are too many hot spots to add and constantly changing. - Burj Khalifa and Dubai Fountains. You can’t miss the tallest building in the world surrounded by the tallest performing fountains, top notch restaurants and the world’s largest mall – Dubai Mall. 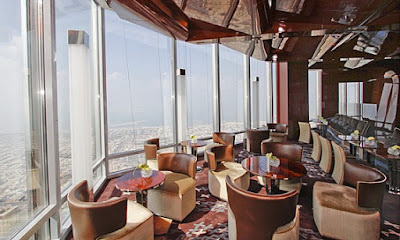 A visit to the observation deck on the 124th floor is a must for a bird’s eye view of the city. Buy tickets online to avoid the cue. - Burj Al Arab Jumeirah. 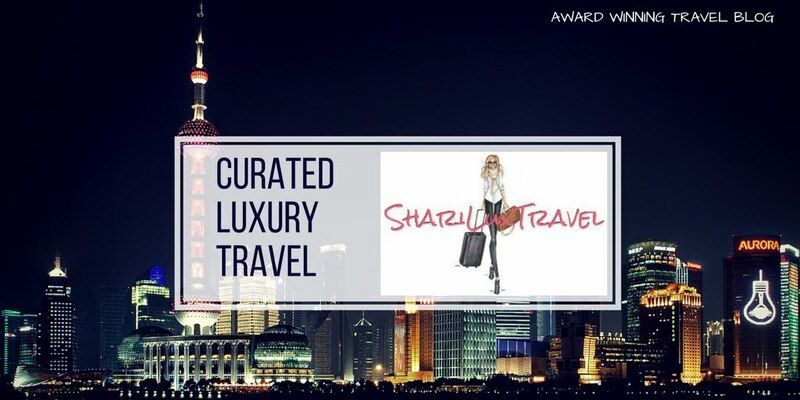 Billed as the World’s most luxurious 7 star hotel. Most impressive were the gold elevator doors, indoor fountains and $54 martini at the Sky view bar. Yes, food and drinks are pricey in Dubai. - If you’re a golfer, the Emirates Golf Club will give you a nice challenge. Voted one of the “Best Courses in the Middle East”. Gorgeous setting surrounded by desert and skyscrapers. - Atmosphere Bar and Lounge. Located on the 122 floor of the Burj Khalifa. Incredible views of the city and equality impressive award winning menu. - Desert safari sand dunes 4x4 tour and camel ride. In my opinion a visit to Dubai is not complete without a jeep tour rolling through the sand dunes followed by a hot bumpy ride on a camel? Bucket list – check. - Ski Dubai – Yes it’s touristy but then again where else will you find the largest indoor ski/snowboard slope? Only in Dubai. You have to go, if anything to say you saw it. 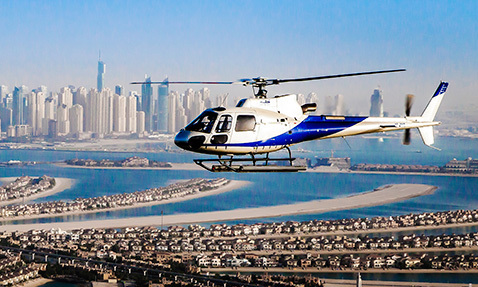 - Helicopter tour. Dubai is best seen from the air, it’s the only way to get a good perspective of the Palms the stalled development of World islands and surrounding area. 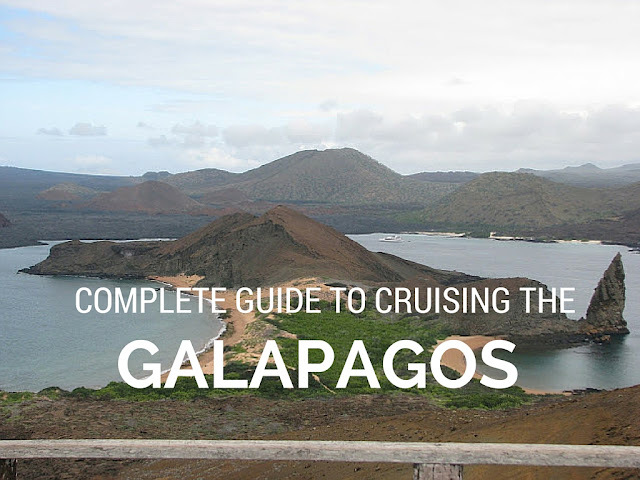 - Drive through the Palm Island with a stop at the Atlantis Hotel and/or the One and Only for cocktails. 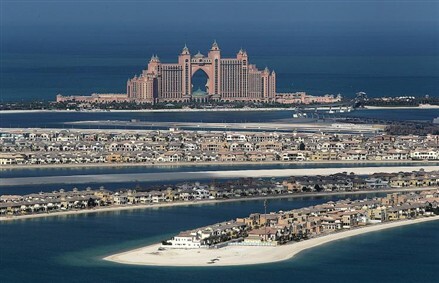 Dotted with houses, condos and luxury hotels, the Palm Island is more residential than expected. Excellent views of the sunset. - Gold Souk shopping. 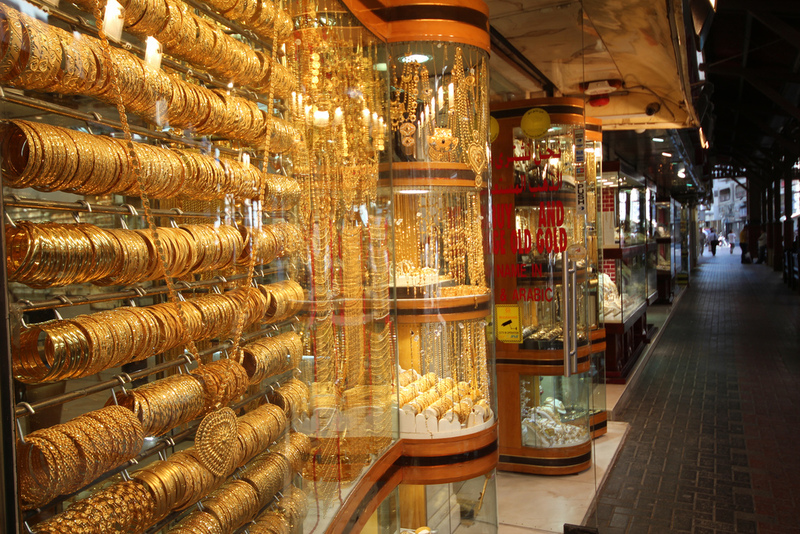 A trip to the Gold Souk truly demonstrates why Dubai has earned itself the title City of Gold. Hone your negotiating skills before going and you will score a great deal on a beautiful piece of gold jewelry as your souvenir. I hope this activity guide will help fill your days in Dubai seeing all the hot spots. If your like me, you will be left wanting to return for another power trip weekend. What do you prefer to do in Dubai?